by Bill Dwight on Thursday, October 30, 2014 at 12:58 PM | LEAVE A COMMENT! 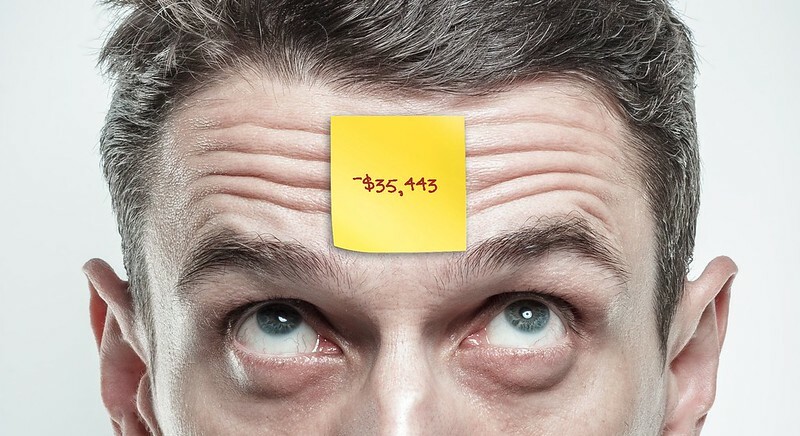 What if your net worth was pasted on your forehead for all to see? Would it change the way you spend? Would you still see people buying cars costing more than what they have socked away for retirement? The psychological benefits of wealth seem to stop accruing once people reach an income of about $75,000 a year. After the 1960s, wealth became more merit based and wealthy people started working more rather than less than non-wealthy resulting in less leisure time, more stress, and diminished happiness. Managing time and decisions better can increase happiness, as does practicing gratitude. Our natural instinct to make comparisons often drives consumption, but pleasure from new possessions dissipates quickly. People derive more enduring happiness from experiences than from material goods — often because they view past experiences through rose colored glasses. how to monetize skills in demand. If your kid is a Minecraft enthusiast, you’ll want to check out this interesting article from Chris Taylor on Reuters. Cave-o-nomics — This is episode one from wetheeconomy.com which describes itself as: “20 award-winning directors. 10 respected economic experts. 20 questions about the economy we should know how to answer.” Just under 7 minutes, episode one explains what an economy is and how markets work. Entertaining and well done. Great for kids and adults alike. Babies Born Today Get Free $500 Mutual Fund Investment — If you happen to know a family who had a baby on October 20, 2014, send them this link. Voya Financial (formerly ING U.S.) is offering a free $500 mutual fund investment. Now there’s the kind of promotion I like! Hurry, the offer good through December 19th, 2014. Financial Literacy, Beyond the Classroom — Teach your kids the right answers to these 3 simple but crucial personal finance questions about compound interest, the effects of inflation, and diversification. (Do you know the right answers?). Turns out lots of folks aren’t mastering basic financial concepts, and traditional educational approaches don’t seem to be helping. What other approaches might work? The article suggests three: just-in-time education, simple rules of thumb, and more user friendly financial products designed to help consumers make prudent decisions. Hey, that last one is what we’re doing for kids and families! Teach Your Child Sound Economic Principles — If you could have a financial “do-over” with your kid, what would you do differently? Here’s what mom (and leader of the Mississippi Council of Economic Education), Selena Swartzfager, did with her second son after reflecting on experiences with her first son. Great examples of simple, just-in-time financial education and how they can make a big difference. If My Parents Taught Me This As A Child, I’d Be Retired By Now — Kimberly Rotter lays out an age-based (3 through 19+) road map for parents who want to systematically teach their kids money management skills. Not only is an unusually comprehensive article, but it also features several suggestions from yours truly! With Expanding Use Case, GPR Poised for Growth — Originally, people thought General Purpose Reloadable (GPR) prepaid cards were just a product for the financially “underserved” because they can be acquired with no credit check. Now studies are finding that usage is exploding across all types of households — especially in ones with checking accounts and credit cards. That’s because a prepaid card is a simple, convenient financial tool that just makes sense in a variety of scenarios like enforcing a budget on discretionary spending, managing your kid’s spending, and easily bucketing your money for specific spending purposes. See the supporting stats in this Paybefore article. Credit-Card Issuers Are Charging Higher — The Wall Street Journal reports that credit card revenue is rebounding because more people are carrying an increasing balance month-to-month without defaulting. It’s good consumers are defaulting less, but carrying a balance means paying a 15% loan rate (on average) to credit card companies who in turn can fund those loans by borrowing at near-zero interest rates. Not smart. The consumer debt bubble is re-inflating. Do you or your kids find credit card spending too alluring to pay of your balance every month? Use prepaid cards instead — especially for discretionary spending. How to Be Really Rich With Less Money — Here’s a smart way to think about wealth and a great discussion to have with your kids. Instead of looking at the absolute dollar amount of your net worth, divide that amount by your annual spending to get your “wealth in years.” Thinking in terms of “years paid for” maps well to what money really represents (or perhaps should represent) to most people: freedom, security, independence, etc. The simple formula (wealth in years = net worth in dollars divided by annual spending) is an easy way to explain to your kids how someone with lots of income can actually be “poor” in years (lavish spending) while someone with modest income can be “rich” in years (frugal spending). The Most Serious Threat When Using Credit: You — Very interesting article from Ron Lieber of the New York Times regarding the psychology of spending using credit cards versus cash. My take: you might be able to get the best of both worlds with a hybrid model of putting recurring fixed expenses on a credit card to get points/rewards (and paying off in full each month!) while putting variable discretionary expenses on a prepaid card to stay on budget. This Little Piggy Went to College — I love these College Savings Account (CSA) programs like the one in San Francisco that opens a savings account for a public school kindergartner, seeds it with $50, and provides matching deposits from donors. A 2013 study found that children from low income families with as little as $500 in a CSA were more than 3 times more likely to go to college and more than 4 times more likely to graduate. There are some good comments on the article. Is this simply correlation as opposed to causation? Should we focus on eliminating the financial barriers to education instead? Maybe, but I still think these programs are fabulous because improving oneself through education and learning to save patiently for life goals are two undeniably good skills to develop whether they have a causal relationship or not! 3 Mistakes and 3 Tools for Inviting Our Kids to do Chores — Six very practical tips for managing your expectations and reducing your stress around kids and chores. Age old debate, allowance: Yes or No? — Erin, The Office Mommy, tackles the allowance debate. She makes good points about how what works for one personality may not work well for another. I just like to point out that there’s another way to think of an allowance: as a budget for a specific category of expenses that you as the parent would otherwise purchase on your child’s behalf. The best category depends on the child and their discretionary spending habits. It might be clothing. It might be outings and entertainment (including concerts). The notion is simply that you are putting them in charge of defining and managing a specific portion of the family budget (keep it simple) and then forcing them to spend within that constraint. That’s one way to keep the emotion of blown-off chores and “you owe me” type interactions separate from learning crucial budgeting skills.